Calum has worked in senior management positions in the marine industry for over 15 years and was with Teekay Shipping for 10 years. In his role as Vice President, Innovation and Technology based in Vancouver, Calum was responsible for identifying and developing new business areas for Teekay. Key areas of work included establishing an LNG bunkering project, development of LNG solutions such as FSRU, FLNG and small volume LNG and gas to wire. 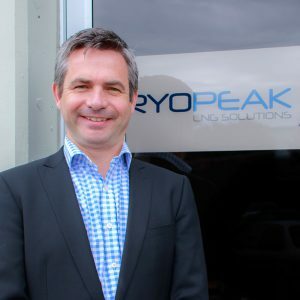 Previous to this Calum held senior positions in Teekay responsible for global procurement across the Teekay Group, asset management, and project management with Teekay’s newbuilding program. As project manager in South Korea, Calum managed Teekay’s LNG newbuilding projects with a project value in excess of B$1.5. Prior to joining Teekay, Calum worked with AP Moller Maersk in Offshore conversion projects and newbuilding projects. Calum has a degree in Naval Architecture from Newcastle, a Professional Engineer designation, as well as a Master of Business and Administration from the University of British Columbia.